I don’t know about you, but I love ghost stories. I think they’re one of the most fascinating ways to uncover an area’s history, past residents, culture and stories. A town with more than 300 years of documented history is bound to have some spooky tales lurking about. Ties to the American Revolution and Civil War, graves dating back to the 18th century – it’s no wonder that Edenton’s annual ghost walk in October constantly incorporates new stories that span three centuries of haunted history. If you’re familiar with Edenton, you likely already know about Charles Eden, Penelope Barker, James Iredell, Samuel Johnston and others. But in this week’s blog, we’re taking a step away from these traditional characters and looking at local lore of a less-conventional sort. Edenton’s historic buildings play active roles as homes and attractions in town today, but this wasn’t always the case. Up until around the 1960s and '70s, many buildings were in states of disrepair or unoccupied, all lending to their already-spooky atmospheres. Though many have since been restored and maintained, they offer visitors and residents glimpses into the town’s history. Additionally, they’ve clued in many to inexplicable occurrences unfolding right under their roofs. The Cupola House is a popular first stop for Edenton’s visitors. 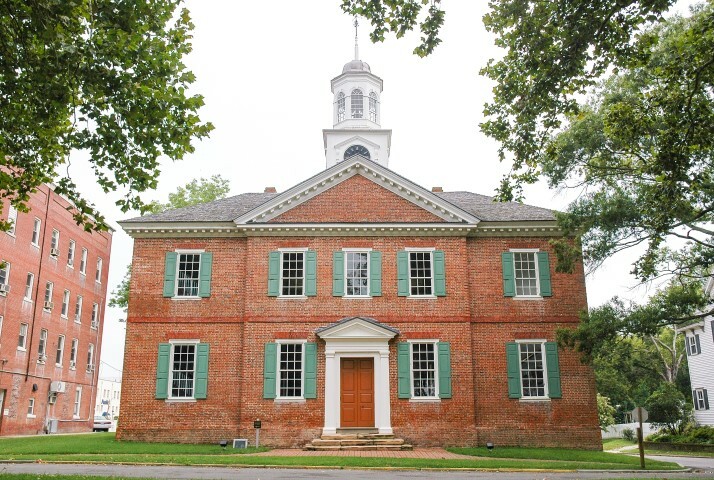 It was built in 1758 and served as a home for 141 years. Since becoming unoccupied this National Historic Landmark is open for tours offered by the Edenton Visitors Center. Upon first glance, the gorgeous gardens and Georgian-style home present most of the fascination. Look closer, though, and you’ll find that the home isn’t as unoccupied as initially thought. A second-floor bedroom is the regular stomping (or rather sitting) grounds for an unseen visitor. 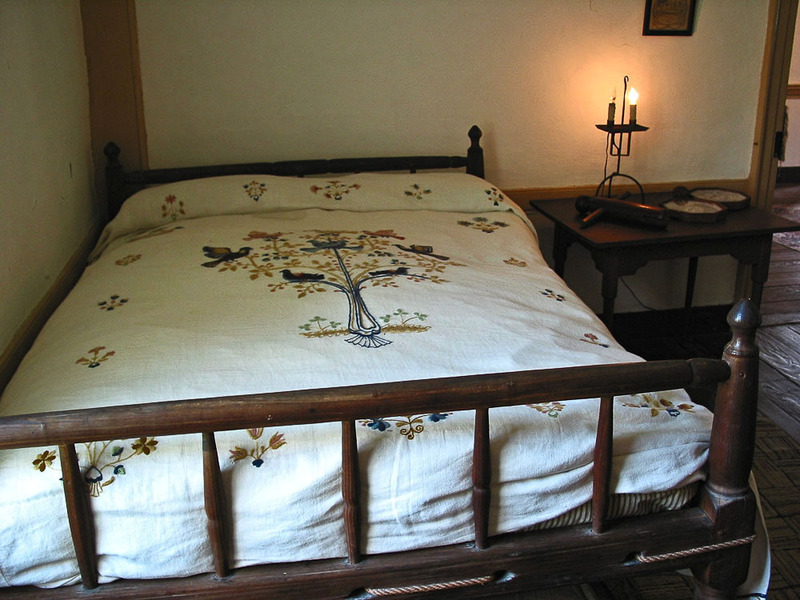 The bed’s quilts are often mussed around an indentation within the mattress’s bottom corners – as though someone sat upon them. According to the Cupola House’s tour guides, a ghost sits there. Any time someone fluffs the mattress or rearranges the covers, the indentation always returns by the next morning. What’s the story behind it all? According to history, the bedroom used to be that of a dying child. The child’s mother would sit at the bed, caring for and later grieving for her child. It’s believed that the mother’s ghost still returns to that spot, keeping her vigil. While I can’t prove this theory, I’m not one to doubt a Southern mama’s love and devotion. Have you ever strolled through Edenton’s downtown at night? It’s a lovely walk with the charming streetlamps and peaceful silence. This isn’t always the case at the unused and (seemingly) unoccupied 1767 Chowan County Courthouse. On multiple occasions nighttime passersby have reported hearing bangs against the courthouse’s door. These are believed to be the bangs of a former inmate, who beat furiously against the locked door at night, hoping someone would free him. Now that’s a knock-knock situation that you wouldn’t joke about. Outside of Edenton, in Chowan County, rests the stately Pembroke Hall and the beautiful Wessington house next door. Former neighbors of the Wessington reported to The Virginian-Pilot about eerie happenings that occurred during their family’s residency. Edenton was frequently filled with soldiers from the Civil War, some Confederate troops and others Union. One Confederate colonel returned after a battle to Pembroke Hall with ghastly wounds around his mouth. During the 1920s, a young woman walking between Pembroke Hall and an engagement party at Wessington encountered a vision of the colonel, his mouth gaping and wounds bloody. The sight of him made her faint. It’s not all gore, though. Lulu Page lived in Pembroke Hall during the late 1800s. She died of cancer, but years later she was seen sitting at the stairs while brushing her signature, ankle-length hair. The ghost was seen by a maid, who promptly ran out the door, quitting her job. These are just a few of the tales circulating around Edenton and Chowan County. There are plenty more, and you can easily discover them just by chatting with the long-time residents. You can also visit many of these haunted locations yourself as you tour Edenton's attractions. There’s no telling what you may see! Do you have any Edenton ghost stories of your own? Share them with us below! For more about everything (paranormal-unrelated) going on in Edenton, check out our Daytime Events page!